Yes! Send my Bible reading plan! Sometimes being a parent resembles a juggling act in the circus. As the master ring leader, I’m supposed to keep everyone tame and calm. Yet sometimes that’s just not reality. Even as a parent who wants to raise kids who love the Lord, family devotions can be a struggle Why is it that someone needs a snack or picks a fight as we sit down to read God’s Word? Not long ago I realized our Bible study routine wasn’t working. We were too short on time (and too antsy) to have long Bible study sessions. I needed something simple, practical and I didn’t have to continuously repurchase, such as a devotional. Instead of reading from a devotional, we chose to hit the “highlights” of popular Bible stories leading up to and including the life of Jesus. My kids are younger, so the Jesus Storybook Bible is perfect for us. As the kids grow, it’s easy read aloud from your adult Bible or choose one geared for towards older children. Activities don’t have to be fancy! We have a solid base of rotating activities that require little or no prep work on my part. Whew! The video below shares some of our favorites. I love to make prayer come alive for the kids with visual activities that engage them and help them keep track of our prayer requests. Again, some of our favorite ideas are shared in the video. 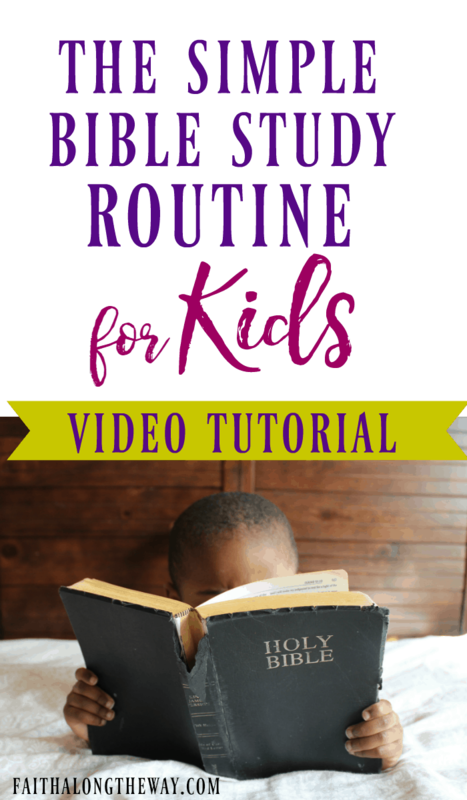 The tutorial below will explain this simple routine and how you can implement it in your home. I promise, it’s not hard and so effective! 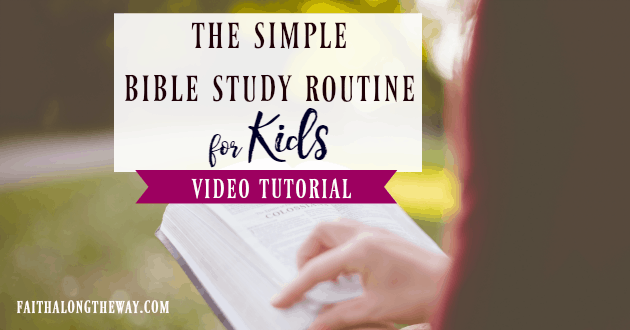 We make this SIMPLE routine even easier by using the convenient templates in the Family Bible Study Toolkit. The busy parent in me loves that the activities in the Family Bible Study Toolkit are little to no prep and can grow with my children. 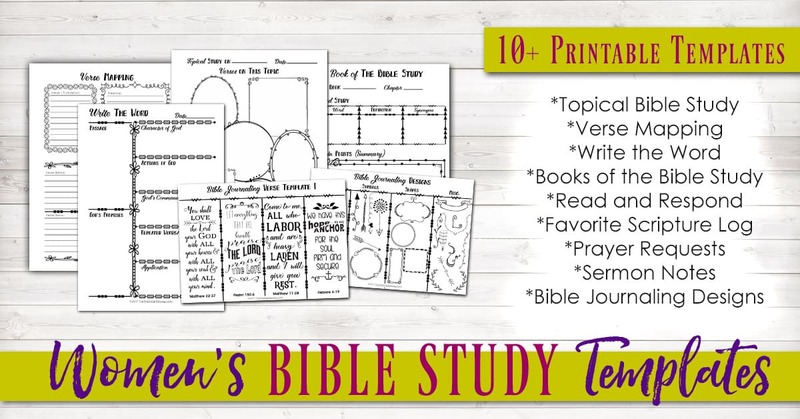 Once they outgrow the kid’s portion of the printable pack, they can graduate to the men and women’s Bible study templates that are also included in this bundle. The teacher in me loves that the activities are meaningful and helps children process what they learn. Included are engaging, visual and gross motor activities to help kids develop a deep foundation of faith in the areas of prayer, Scripture memorization and Bible study. And truthfully, the worn out woman in me LOVES that this Bible study bundle includes resources for women and men. It truly offers something for everyone in the family and makes it easy for us to grow together in faith. As you begin or revamp your family devotional time, start small with 10 minutes a day and aim for a few times a week. This will help you develop a solid routine and not be overwhelming! Plus, using the Family Bible Study Toolkit will make this special time of day simple and manageable for you. And I’m learning that the more simple I can make the routines and habits in my life, the more consistent I’ll be using them. 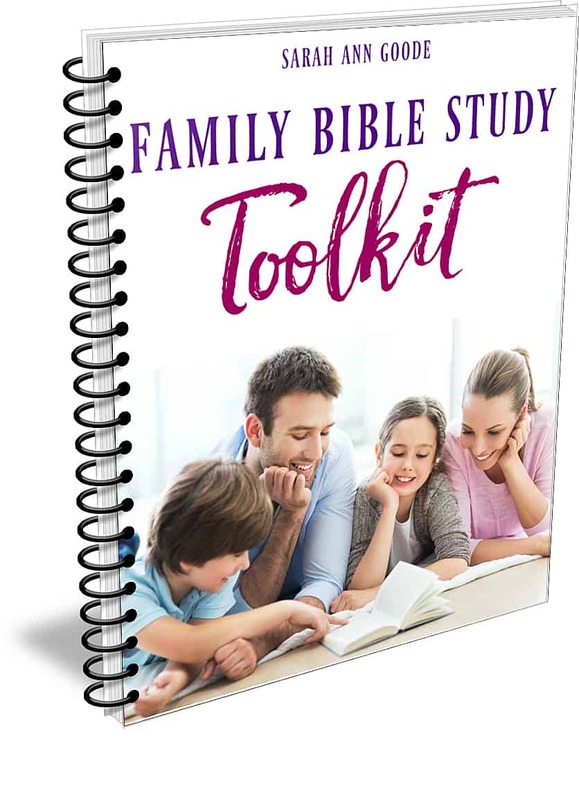 For less than the price of a meal out, the Family Bible Study Toolkit will equip you to lead your children (and the rest of the family) towards spiritual growth. 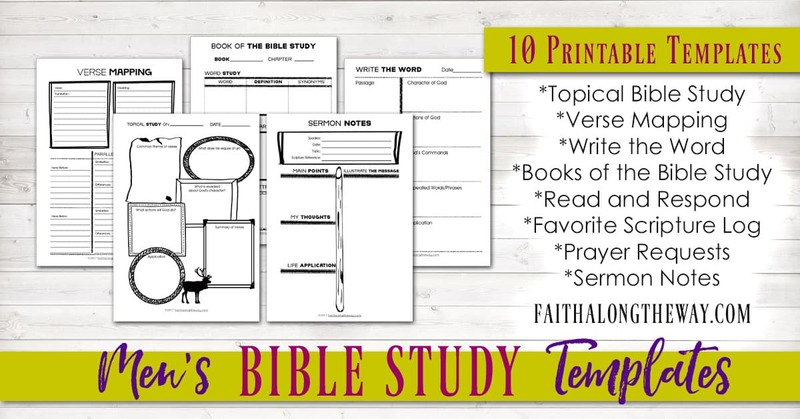 This complete set of Bible study resources is only, $18.99, yet the convenience of practical activities for the whole family truly is priceless. Spiritual growth is only one click away! 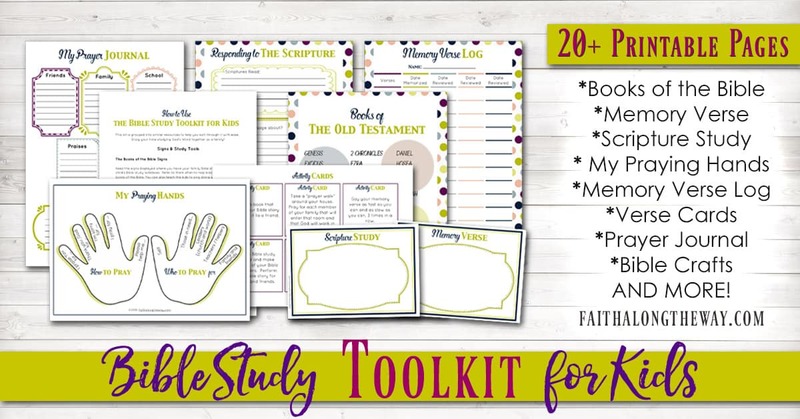 Let the Family Bible Study Toolkit make it simple reality in your home! What’s your favorite way to help your kids learn about the Lord? Do you have a system or just go with the flow?